Oral and Maxillofacial Surgeons are specialists in the diagnosis and treatment of a broad range of disorders affecting the facial complex and skeleton, including the jaws and oral cavity. Contemporary training in both medicine and dentistry enables oral & maxillofacial surgeons to treat conditions requiring expertise in both fields. 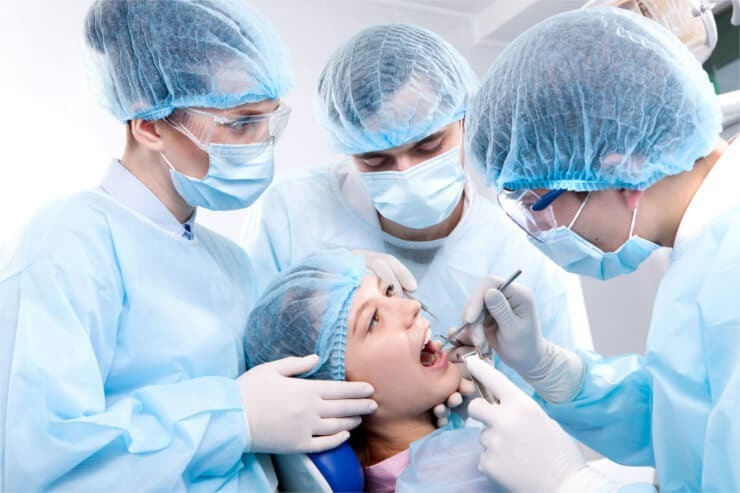 These include a range of common oral surgical problems. Sowmya Multi Specialty Dental Clinic located in Guntur deal with Oral and Maxillofacial Surgery in the best way. We ensure that the treatment provided for the patient adds value to their oral health while making the whole experience easy. Our team of doctors at the hospital are specialists in Oral and Maxillofacial Surgery.